Society lives in a different world than we did 20, 30, 40 or 50 years ago. A childhood car ride to the airport included my father being able to take us right up to the boarding area just to watch planes land and take off. Today, only ticketed, ID verified, bare foot, metal detector frisked passengers are allowed to go to the airport boarding area. Airport lines are longer, no more back packs at running / marathon races, metal detectors at high school dances and the hits just keep on coming. Aligned with our global societal issues, there is a strange phenomena that mother nature and her environmental children (weather, earth and water) appear to be willingly complicating our lives even more. Planning for natural disasters dictates having available technology so our business and personal lives can function with some semblance of normal. Being a blessed Hurricane Sandy survivor, it was a week of deep introspection and being thankful for some technology gadgets my wife and I had in place. Beyond the batteries, snacks, a first aid kit, a generator, flashlights and tunes your children listen to until their cell phone die, I share some food for thought to consider on essential technology considerations and gadgets to have in your home survival kit . . . just in case. 1. 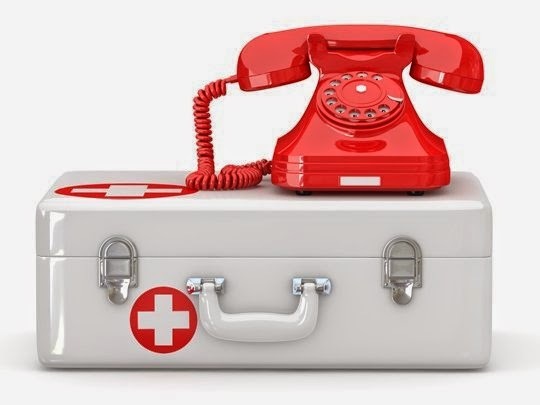 Know whether 911 support is provided by your telephone [TRUE] land line provider, Internet phone provider and cell phone provider. Wow!! I just used the word "providers" 3 times for vendors who may or may not provide. Contact each provider TODAY [aka, before your need] to find out how or if they provide 911 service. 3. Back up and charged batteries for your phone, mobile devices, computer notebook. 4. Have car cigarette lighter dual USB cables to charge 2 gadgets,. This especially works well if you have an iPhone and your spouse has an Android phone or vice versa. Plan ahead for acquiring appropriate charging adapters. 5. Back up your household Internet connection with an alternate 4G service, like Clear, Freedom Pop or Netzero. They provide rechargeable routers, you will at least be able to connect your iPad or or notebook computer online to read and access necessary web sites. Downloading or uploading photos will not work well through these services, due to data speed restrictions. Having no electricity for 1 week during Hurricane Sandy, my wife I were really happy using our Clear device to run our business interests and communicate with clients. Clear is month to month service. So you can turn it ON and OFF, when it suits you. 6. A Solar charger for recharging all your mobile devices is a smart move. Using sunlight or overcast daylight is usually enough to keep your solar charger juiced. Get 2 solar chargers, so you can work on your computer, your phone can be charging and your children have their own mobile device being recharged. 7. Consider acquiring an emergency / weather scanner. This will provide additional information local to your area, which may not be provided by news reports on your AM/FM radio. Before you acquire a scanner, please read the scanner usage laws in your state. It is my understanding police scanner apps downloaded to mobile devices are illegal, once you take the device out of your house. 8. This may seem obvious, but download a battery manager onto your phone or mobile device. This works well will with conserving power, your next available charge is unknown with the electricity power out. 9. Update your ICE contacts on your cell phone address book and print them out on paper. 10. Set quarterly "To Do" reminders on your cell phone to check emergency gadgets being fully charged and have a family fire drill. Or you can use FollowUpThen.com to schedule email reminders for everyone in the family to check their back up rechargers. Although unused, over time the available power in your emergency back up charged gadgets will dissipate. Just like a fire extinguisher being periodically inspected, battery reliant electronic devices need to be checked on a scheduled basis, before you really need them. BONUS 11. Back up your spreadsheets, word processor documents and any other essential data files you need to a key chain thumb drive. If your computer goes south permanently, al least business presentations and personal life can be referenced or modified on another computer at the library, a neighbor's house or a local hotel. You can never have too many back ups. Give your spouse a thumb drive key chain copy of files, as well.